An HIV-positive researcher reflects on his experience with the virus. The following is an excerpt from an autoethnography — a research paper in which the writer explores his or her personal experience and connects that experience to wider cultural, political and social meanings. The paper was originally published in the Journal of Men’s Studies (Volume 22, Issue 1, Winter 2014). Living with HIV is not as simple as taking a pill. It is also not as much a death sentence as it once was, as long as medication is accessible and affordable. Healthcare is difficult to incorporate into a regular routine, especially if the individual is not accustomed to medical visits, clinic staff, blood draws and adherence to daily medication regimens. People living with HIV have better health outcomes when they take ownership of the medical part of their disease. When people living with HIV assert themselves in clinical situations, they are more likely to be retained in care. Lack of social support and feelings of stigmatization can hinder healthcare utilization. Part of coming to terms with HIV is learning whether support will be positive or negative from established social networks. My own pattern—disclosing arbitrarily for the first year, learning to be more strategic, finding support systems, avoiding and minimizing stigmatizing situations—seems to be echoed across other racial/ethnic minority gay men. 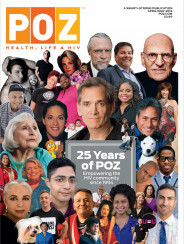 Fear of rejection from prospective lovers, community institutions, co-workers and/or family remains a concern, even amongst gay men after thirty years of the AIDS epidemic. This can even impact willingness to disclose HIV status. While I had told my family in 1990 that I was gay: I would wait until graduation from my Masters program to admit I was HIV-positive, ten years after the diagnosis. 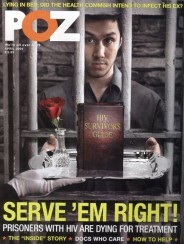 I returned to working in HIV/AIDS, doing some small part to building an organization and providing a leadership voice. This is not uncommon amongst gay men. Taking part in service provision and representing the community publicly is one way to take control of the disease and become comfortable with the diagnosis. By choosing this strategy, I attempted to access an external source of support in the form of the community of service providers and advocates. Researchers have documented relationships between HIV risk behaviors and social discrimination and financial hardship in the lives of racial/ethnic minority gay men. Economics and social discrimination are a driving force in being able to access healthcare and finding out benefits when needed. These are underlying determinants in seeking out social support and in pursuing intimate relationships with other men. I moved away from the future, and the investments that would infer a future. I would remain in this chaos for years until other matters—a long-term relationship, a tenure-track position, and a stable physical health—began to shift my focus away from the moment. Death can sneak in anywhere. At the park, in the bar, reading social media, going through my contacts on my mobile phone, filling out paperwork at the new job. Life insurance, healthcare plans, health care proxy, beneficiaries, emergency contacts—such simple words take on new meaning after living with HIV longer than I expected. Thinking about the rest of my life, even after it’s over. Most of my past is buried or scattered to the ashes. Memories before Facebook, the tumultuous days and nights of being newly gay in the clubs, the running of streets in hopes of finding something amazing that will make it all worthwhile, that young boy: so few around me have seen him, can remember him past the body and cantankerous man that’s emerged. By twenty-three, I had grown inured to a funeral’s awkward tension. By forty, I am—apparently—one of those people that you call when there’s a drug emergency or someone dies. Years stamped on me like a passport. At some point along the way, I lost my door pass to the clubs. I have not planned for a beneficiary. I have a dog but no children. My brothers’ kids are comfortably ensconced in financial security. I have yet to put aside money for my cremation and funeral. Most of my friends also have HIV. We do not know how to frame our endings or our legacies. We only know what it’s like when someone is gone, when their number is still in our phone, when their birthday still appears in our reminders—years after they died. I am afraid of disappearing. Of being that person haunting someone’s cell. Of an unfinished life. Maybe we all are. But it’s inside me. I have the diagnosis. What about my friend from college and her daughter? No matter how troubled or sketchy I’ve been, this friend has insisted that I stay part of her life, through her graduate degrees, marriage, tenure, child birthing, divorce, and child-rearing. I’m unsure how she will take this conversation. Am I saying that she can’t raise her child? Am I intruding on her private life? Do I deserve a place in this circle? When she thanks me and laughs at my nervousness, the anxiety lessens. If nothing else, this little girl will receive my retirement when I pass; one life is improved by my living. So many tantrums, so much drama—all with the intent of being remembered, of marking this world. I haven’t been the easiest person to date, I’m sure. At the new job, I am confronted by disclosure again. Do I admit to my HIV status amongst faculty or students? I know a few others that have both a doctorate and HIV. Most are closeted, afraid of what people will think about them. They consider HIV a reflection of their own intrinsic value apparently. One other is out and he works as an administrator on campus. Would he fare so well in the research arena? Will I? These are the questions that I must come to grips with in order to join the university faculty, so I know where I stand within their rules and boundaries. Is it too late to be a partner? After the last fight, the final blow, can we find each other again? My friends tease that I keep in touch with all my ex-boyfriends. Not true. It’s just the serious ones. My friends don’t understand what I have put these men through, the parts of me reserved only for intimate moments—the season of insecurities and the need to be whole. But I want him, that one where everything is unfinished. Where he’s seen my worst and still comes back. No matter what everyone says. This moment is a love letter between men. Andrew R. Spieldenner, PhD, is an assistant professor of rhetoric at Hofstra University. He has held positions at the New York City Department of Health and Mental Hygiene, the Black AIDS Institute, the National Association of People With AIDS and the Latino Commission on AIDS. Click here to read the complete autoethnography.